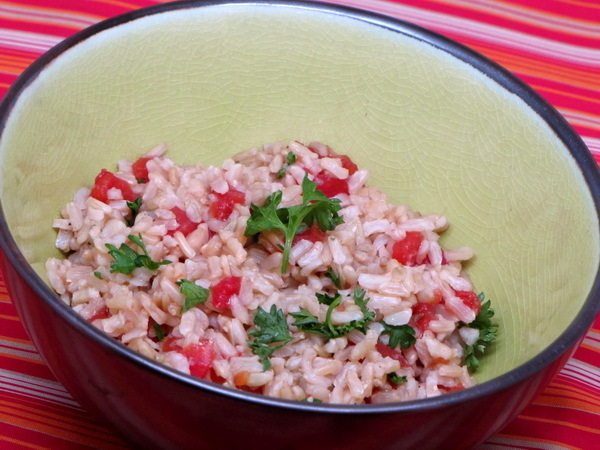 Just adding a bit of tomato and parsley makes brown rice so much more interesting. And the Worcestershire really adds a nice zing ! Combine all and serve warm. Most don’t think to use zucchini in its raw state – but it is marvelously crunchy and mellow and a great addition to salads. 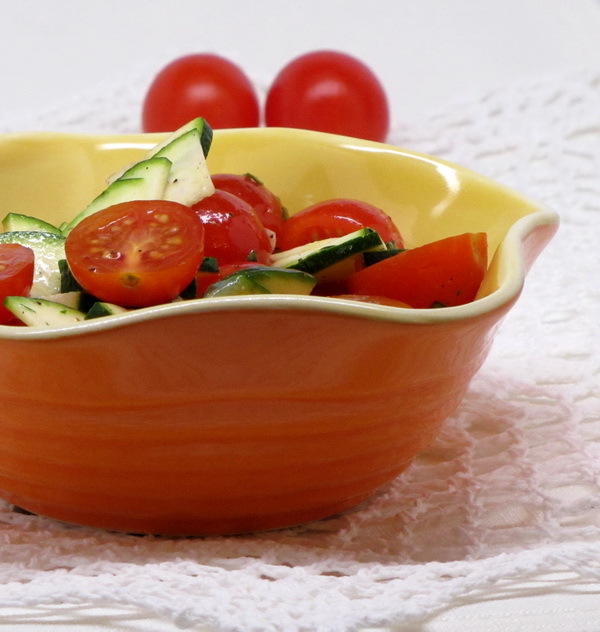 This salad is mainly zucchini and it’s really tasty. Combine garlic, vinegar, parsley, salt and pepper. Add oil and whisk well. Add zucchini and tomatoes and toss gently. Sprinkle with basil just before serving. Mushrooms are so low cal – and so delicious ! 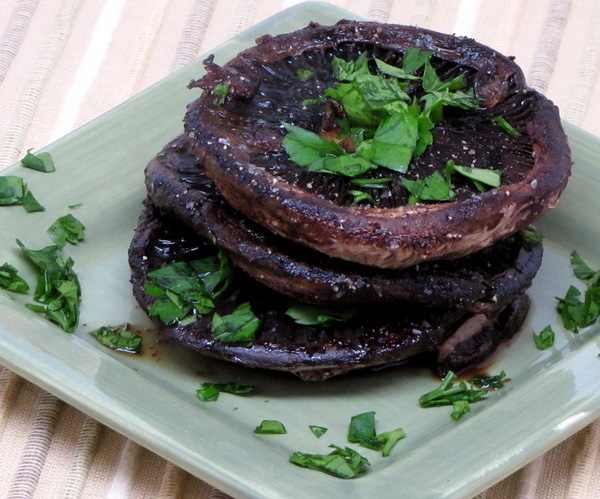 When you have an extra 50 calories left over in a meal and you want to fill it up with something savory, why not pan fry some Portobello mushroom caps ! 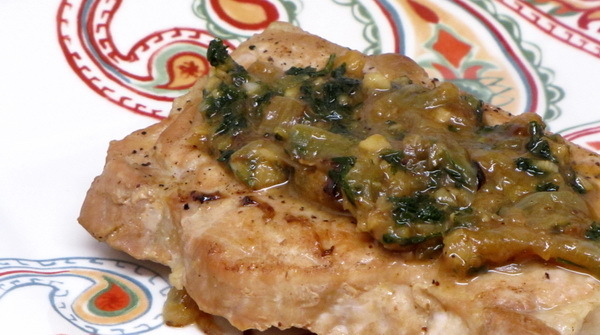 It is simple to do and you can easily change up the flavor by substituting different dry and fresh herbs and spices. Heat a skillet to medium high heat and spray with Pam. Place mushroom caps in pan underside facing down. Sprinkle with salt, pepper, onion powder and garlic powder and ½ t of Worcestershire. Cook for 3-4 minutes. Flip and re-season the same way and continue cooking another 3-4 minutes. Remove from heat, sprinkle with parsley and serve. Preheat oven to 350 degrees and coat a baking dish with Pam. In a food processor, pulse the onion until minced and then add the mushrooms and process until minced and then sauté them in a hot pan with the oil about 5 minutes. If they remain wet, drain the liquid out of the pan. Add garlic, parsley and tomatoes and then set aside. Mix meats, oats, egg, Worcestershire, and salt into the mushroom mix. 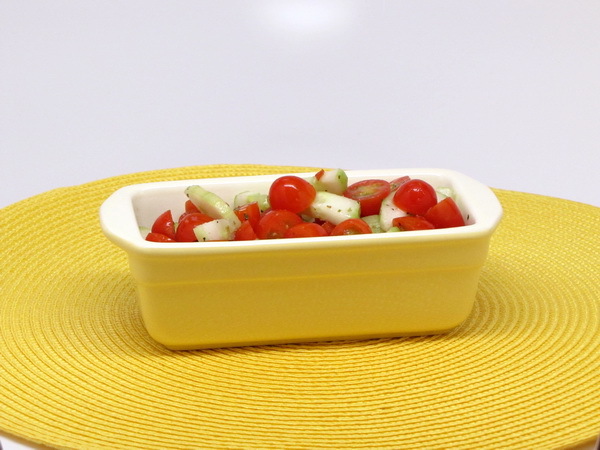 Shape into a loaf and set in baking dish or a loaf pan. 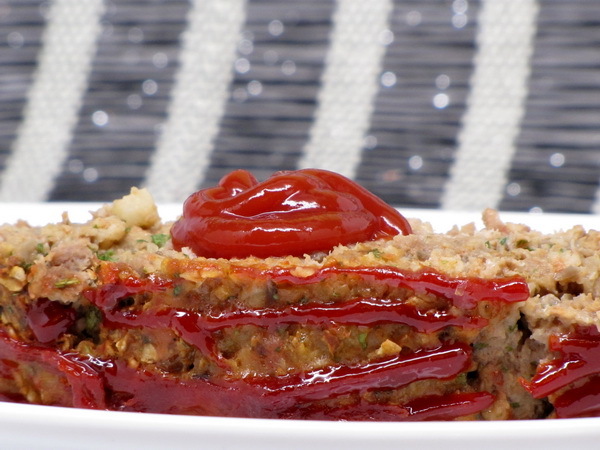 Spread ketchup over the top and bake an hour or until done. Let rest 5-10 minutes before slicing. The carrots and fresh parsley really freshen up an otherwise boring carb. Feel free to add more or alternate fresh herbs for a new flavor. Bring 1 1/2 c water and the oil to boil. 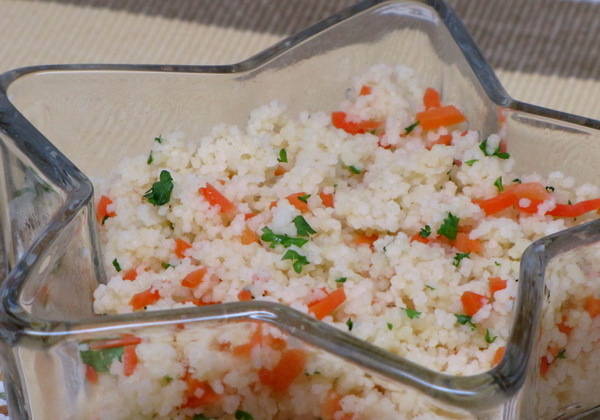 Add couscous and carrot. Shut off heat, stir well, cover pan and set aside for 5 minutes. Stir in parsley. Season with salt and pepper. 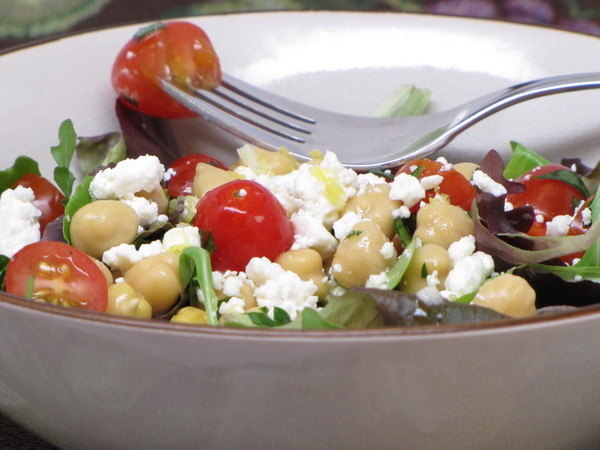 Super savory and very easy to make. The topping has such a burst of lemony flavor that you don’t want to stop eating ! Heat oil and Pam in skillet on medium high heat. Saute the onion for 3-4 minutes. Salt and pepper both sides of the pork chops and then add to pan. Cook 3 minutes. Turn meat over and add garlic and continue cooking another 3 minutes. Add water. Reduce heat to medium low, cover and cook 10 minutes. Uncover and cook 5 more minutes. Remove chops to a plate and keep warm. Add parsley and lemon zest to pan. Cook down for about 2 minutes on high. Squeeze in lemon juice and cook down 30 seconds more. Spoon this mix over the chops and serve immediately. Place all in a bowl and mix well. Refrigerate at least 2 hours to let flavors mix.